Arthunkal, a coastal town and a major pilgrim center in the southern Indian state of Kerala, 43 kilometer south of Cochin city (21 kilometer north of Alleppey city) in the Alleppey district, is one of the important pilgrimage centers in Kerala and is being visited by lots of people. The main attraction here is the church, dedicated to saint patron St. Sebastian. The famous St. Sebastian's feast at St Andrew's Basilica is celebrated on a grand scale from 10 to 27 January every year with great fanfare, reverence and devotion and people across the state actively participate in the feast. The attraction here is the colorful procession of the saint in a well decorated palanquin from the church to the near-by beach and back to the church and is well attended by the ardent devotees. On the 18th early morning before the Saint's procession, the Church gates are open and like wise on 27 January midnight the church doors are closed and the St. Sebastian's statue is safely kept in the safe locker in the room near Vicar's office on the Church premises. A small statue of the saint is placed there for 40 days for the benefit of devotees. This marks the end of the Arthunkal Perunnal. According to Church record in 2009, more than 1.5 lakh persons performed the bow and arrow 'nercha'- this part of prayer. This tradition has been in practice for a pretty long time. Believe it or not more than 200,000 people visit this holy place for prayer and blessings from the saint. 20th January is the final day of the feast and the church authorities conduct mini feast called 'Ettam perunnal' on the 8th day after the main feast. Yet another feature that is worthy of mention is the visit by thousands of Hindu devotees returning from the near by Sabarimalai Ayyappa Swami temple. Not only do they bathe in the church tank, but also pray in the church before resuming their home journey. 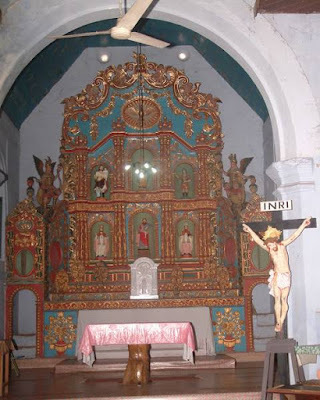 In the church, they with devotion, remove the Hacocarpus bead chains at the altar and the Hindus believe that Ayyappan and St. Sebastian are brothers. This brings out the secular nature of the communities of different faiths that live in religious harmony here. Not only do the devotees visit this Church for intense prayer to be free from many family, civil problems, etc that cause them lots of mental agony, but also to fulfill their vow and express their gratitude to the Almighty for answering their prayers. People with mental disorders come here and get cured, it is believed, after their prayers here for a particular period of time. On the evening of 26th of January, dedicated devotees undertake the difficult task of crawling on their knees called Nirangu Nercha from the beach - roughly one kilometer to the Church or roll their body on the ground known as Urul nercha' (as devout Hindus do it in the temples called Anga Pradhakshanam), carrying the nercha material (Ambum Villum; bow and arrow) in hands. To accomplish such prayer, the devotees need lots of 'Vairagya' or intense commitment and focus to fulfill the religious task undertaken by them, without compromising on the religious significance and certain norms. Initially this place of veneration was a chapel in 1569 with thatched roof made of coconut palm leaves, named after St. Thomas. In 1581 Italian Fr. Gasper Pious S.J. “Ishosabha” monk was instrumental in constructing a church here after getting necessary permission from the local Hindu ruler. The Hindus who lived in large numbers made valuable contribution by way of offering cash for the building the church. Even before the feast day of St. Andrews (November 30) the church building was completed with wood and palm leaves. It was first church at Arthunkal and was named after St. Andrew’s. The Portuguese missionaries established "Santharthre mission" and forced the Marthomite Christians to accept the Latin rite. It was Fr. Jaicomo Fenicio, an Italian preacher became the parish priest in the year 1584. He founded the real architect of the Christian society at Arthunkal. Fr. Jaicomo Fenicio got permission from the king to build the new church using stones to protect the church from battles and robbers. It was successfully completed it in 7 years. 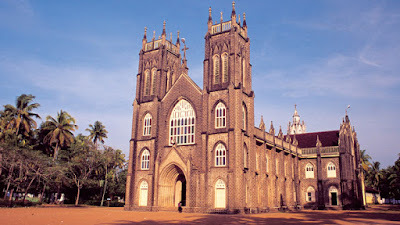 After Fr Fenicio was transferred to Kozhikode in 1579, eight priests took charge in succession. In the year 1647 the statue of St. Sebastian was brought from Milan,Italy and placed here. In 18th Century, the church was taken charge by Carmelite missionaries from Jesuit missionaries.